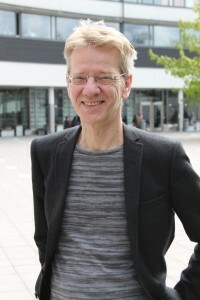 Johan Fornäs is since 1 January 2010 Professor and since 31 March 2019 Professor Emeritus of Media and Communication Studies at Södertörn University. His research deals with issues of media culture and cutural mediation, intermedial interplays between cultural genres and media forms, and intersectional interplays between identity dimensions. His interdisciplinary cultural research is based on hermeneutic interpretation, discourse analysis and media ethnography. In 1973, Fornäs took his BA in Mathematics and Theoretical Philosophy at Lund University; 1985 got his PhD and 1987 became Associate Professor (docent) in Musicology at Göteborg University; 1986 youth culture researcher for the Swedish Research Council (HSFR); 1992 Senior Lecturer, 1997-98 Acting Professor and 1999 Professor of Media and Communication Studies at Stockholm University; 1994 Visiting Professor at the Catholic University of Leuven, Belgium; 1996-97 Acting Professor at the Department of Communication (Tema K), Linköping University; 2000-03 Professor at the National Institute for Working Life in Norrköping; 2003-09 Professor of Mediated Communication at the Department of Culture Studies (Tema Q), Linköping University; 2002-12 Director of the Advanced Cultural Studies Institute of Sweden (ACSIS); 2008-12 Board member and Chair of a Preparatory Committee of the Bank of Sweden Tercentennary Foundation (Riksbankens Jubileumsfond) and since 2012 member of its Sector Committee for the Mediatization of Culture and Everyday Life; 1998-2004 member of the European Science Foundation ESF Forward Look ‘Media Studies: New Media and New Literacies’; 2008-14 Editor-in-Chief of Culture Unbound: Journal of Current Cultural Research; 2004-08 Vice Chair of the Association for Cultural Studies (ACS); 2010-12 Chair of the steering group of the Critical and Cultural Theory Graduate School at Södertörn University. Member of Academia Europaea since 2015.